The Field School will begin at the headwaters at Canal Flats and travel through Columbia Lake and the Columbia Wetlands, the Revelstoke area, Lower Arrow Lake, the confluence with the Kootenay River at Castlegar and south to the US border. Monica Nissen, Wildsight’s Director of Education says that at its heart, the trip is about knowledge, connection and adventure. Along the way, she says, the participants will learn about the river’s story—history, culture, salmon, energy, economics, politics and ecology—from guest experts and an intimate experience of “place.” They will discover the river in its many forms, from free flowing water to reservoirs and dams, will learn canoe skills and safety and will fall asleep to the sound of the river at night. Roger Warnatsch of Greenwave Canoeing will be the canoe guide for the trip. An RCABC Master Instructor, Roger brings his expert knowledge and many years of experience to the Field School. 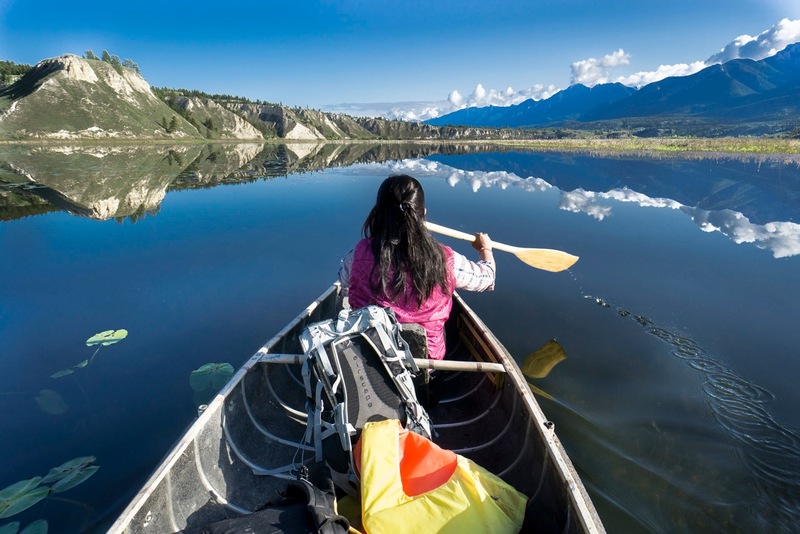 Participants will get certifications from the Recreational Canoe Association of BC. “Participants can expect to be challenged, to make new friends and rich memories and to leave with a deeper understanding of this incredible river that flows through the place they call home,” says Nissen. To find out more about the Columbia River Field School and to apply, go to wildsight.ca/fieldschool. Applications are due by May 25th. Wildsight thanks Mountain Equipment Coop and the Columbia Basin Trust for making this program possible.